Exclusionary End to Birthright Citizenship not Supported by Fourteenth Amendment’s Expansive Equality Before the Law by Thomas Martin Saturday. Margaret Mikyung Lee, Legislative Attorney, “Birthright Citizenship Under the 14th Amendment of Persons Born in the United States to Alien Parents,” Congressional Research Service, 10 January 2012. With Donald Trump’s uncompromising commitment to remove some eleven million undocumented immigrants and their American born citizen offspring by any means necessary, and on the first day of his presidency, the Republican Party has moved even further to the right on the immigration issue. One right wing radio talk show host even suggested the undocumented either leave now or be used as the property of the State. We are finding out what Republicans in large numbers really want the country to be. 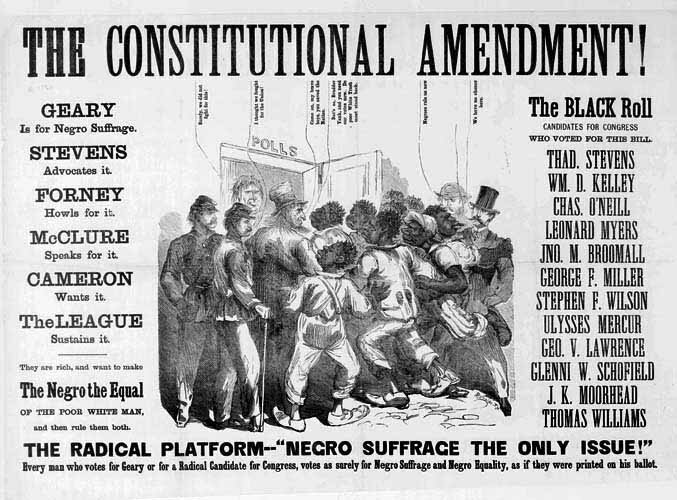 That nation is overwhelmingly white, with few non-white migrants, and with little interference from the Federal Government in determining who gets the benefits of the Fourteenth Amendment’s equality before the law and citizenship by birth in the United States proposing it be left to the States to figure out. Beyond the barbarity, lack of humanity, and shame of what Republicans are seeking for a nation that champions equality and human rights in its founding document and its Constitution, many Republicans interpretation of the Fourteenth Amendment owes more to the era when slavery was permitted in this country, the Jim Crow South, and a rabid Nativism revived by the appearance of so many legal citizens who are not white. That there are eleven million more who are not citizens is testimony to Republican opposition to legislating the full answer to the problem in a way that is just. Senate Democrats with a few level-headed Republicans passed a detailed and well thought out overhaul of our immigration system that both provides a massive increase in border security– keeping track of non-citizens who are within the United States already, with a just disposition of those that are here and in need to a path to eventual citizenship or work documentation and legal status via a green card without prejudice. Democrats in the house and enough Republicans would have promptly voted for the legislation had it been brought up for a vote. But Republican Speaker of the House John Boehner has sat on it for well over a year, rapidly approaching two. Now the move to the right on immigration probably makes passage in the House impossible. Democrats have been anxiously awaiting passage for all of that time and President Obama has repeatedly made clear he would immediately sign such legislation. It is not even Obama’s fault. What is factual reality is important to state here. Struggles for Justice and its editor argues and contends for that the Fourteenth Amendment means in plain language just what it says: if you come out of your mother’s womb in the territorial United States, or any State in the Union at birth you are an American and an American citizen with all the benefits citizenship confers. The Fourteenth Amendment was not about who gets excluded and how we might manipulate it or amend it altogether to narrow the rights of human beings. It turns out that Erler’s argument that indeed Congress can legislate the phrase “subject to the jurisdiction thereof,” is correct. But it is not yet the law of the land. Erler and his allies on the right and in the conservative iconic National Review magazine need to come clean and explain just why it is so necessary for birthright citizenship to end. The American Bar Association overwhelmingly passed a resolution urging legislators to reject any amending or reduction in citizen rights already contained within the Fourteenth Amendment. Both propositions by Erler are those made reductio ad absurdum. The parents never confer citizenship on the children of aliens of the United States. Our Supreme Law does it, as it is interpreted over time by the Supreme Court and any new legislation our duly elected representatives fashion and pass in to law. We are a sovereign nation; we have in place already via our present immigration laws and their enforcement by the current administration the means to decide who are entitled to citizenship in the United States. 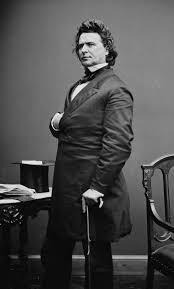 The main principles of these laws are codified in the Fourteenth Amendment. Most conservatives would not accept what is reality here. You are entitled to vigorously oppose Obama’s lax enforcement of our immigration laws by executive order for those children called the Dreamers, and their families if they have been here for a number of years and have not been or are not convicted felons, and are working and paying taxes. Nevertheless, you are not entitled to dispute facts and the reality of what is actually happening. Two years ago for one factual example, the President, ICE officials, and the Border Patrol processed some 400,000 people and deported them by early fall. Recently, numbers have decreased. Fewer people are crossing our borders illegally, yet we suffer from not catching them all, they sometimes enter illegally more than once, and such a large operation tracking those coming in illegally has led to some, very dangerous, to become lost in the system. A girl walking with her dad gets murdered by a man who has defied our immigration laws five times and who was already a murderer in his homeland. ICE, local police, the FBI and Homeland Security all failed here. The President failed in this case. Federal agencies and officials were asleep at the switch. This is a horrible and tragic case. Sanctuary cities and the illegals themselves are really more than willing to help identify who are the criminals among them if ICE and local police will lay off harassing and deporting those that want to aid police. If you do not use local police to aggressively pursue illegals or undocumented immigrants who work here, have children born here for their entire lives, and who are beyond the little traffic ticket or disorderly conduct not felons or dangerous at all, but who work and pay taxes here, the Latino community at large will respond with alacrity to tell police who are the bad guys, where to find them, and get them out of communities where those persons live. The police themselves will tell you that aggressive enforcement across the board leads right away to much needed tips and information from these people drying up completely. It means a lack of trust of police becomes tension in communities; the big issue where Latinos live. Even legal citizens among the undocumented want to help provided people they know, love, and have come to see as productive people here are not mistreated. Yet the great question those who want to limit or narrow citizenship rights have to face is how limiting the jurisdiction of the Federal government within the United States of America, doing that to persons born in the country after the illegal entry of their parents– ending birthright citizenship will define the nation in the future? Will we become a nation of people known for our vindictiveness, pettiness, and lack of compassion? Will our failure to be inclusive and respecting of the rights of others as human beings be what defines us before the entire world? Will the experiment in American representative democracy via a Republic die a slow death with enormous implications? If our leaders can exclude any group of people they decide ought not to be under the jurisdiction of the United States, how safe are you? Whether or not your parents were native born citizens of the United States or not might be less important than your racial makeup, your politics, or some other defining feature of your own humanity that others hate or see as not meriting citizenship. American Indians, or First Americans, were as both Myung Lee and Erler point out initially excluded from the protections of the Fourteenth Amendment, since the United States had and still has formal treaties with tribes that have and still have the status of nation states. The framers of the Fourteenth Amendment were confused by the ambiguous status of these people, so entitled before the rest of us to American citizenship. And all the time there was plain and simple racist, white supremacist ideology lurking in many places that inhibited doing the right thing and including them as they have been since 1923. Conservative opponents of widening American citizenship and equality have defined by law and Supreme Court decisions, beginning with the Slaughter House Cases of the Nineteenth century and ending with Citizens United, conferred full personhood and citizenship rights on corporations, abstract organizations—as human beings with all the rights and benefits of American citizenship before the law. These cases chiefly employed—you guessed it the Fourteenth Amendment. Mitt Romney famously replied to a question on the campaign trail in 2012. “Corporations are people” to a more discerning and skeptical audience. Those supporting personhood for human embryos must anchor the fertilized egg’s rights as a person before the fetal stage- anchoring that entities’ rights as a citizen in again, chiefly the Fourteenth Amendment. So, the right-wing has been caught with their hypocrisy hanging out. They widen citizenship rights when it suits them and narrow them when it does not. Many of them have termed both legal and illegal immigration by brown people to be an invasion, and not just a bunch of people seeking opportunity to better themselves and protect their families like all of us who have an immigrant past. Yes, illegal immigrants must pay the fine for illegally entering the U.S., a civil violation of our laws, and not criminal. We must have secure borders much better than we do now but we do not have to discriminate on race, ethnicity, and national origin of the parents in order to do it. Struggles for Justice sees that enshrined in the founding document of the United States as our single most important guiding principle. It calls upon us to be more inclusive and not less, to be a place where what your parents were or where they came from or how, or what color you are, or sexual orientation you have, gender identity or any number of things that human beings fall heir to not be a fatal barrier to exclude you from the Fourteenth Amendment’s expansive equality before the law, and the rich protections of citizenship enshrined in our Constitution and Bill of Rights. This entry was posted in Essays, It's About Struggles for Justice, National Affairs, Race and tagged all men are created equal, American Citizenship, Birthright Citizneship, Civil Rights, Deportation, discriminhation, donald trump, Equal Treatment under the law, Equality before the law, Fourteenth Amendment, human-rights, immigration, Immigration Issue, Immigration Policy, Latinos, National Review, Racism, Republican Party, white supremacy. Bookmark the permalink.